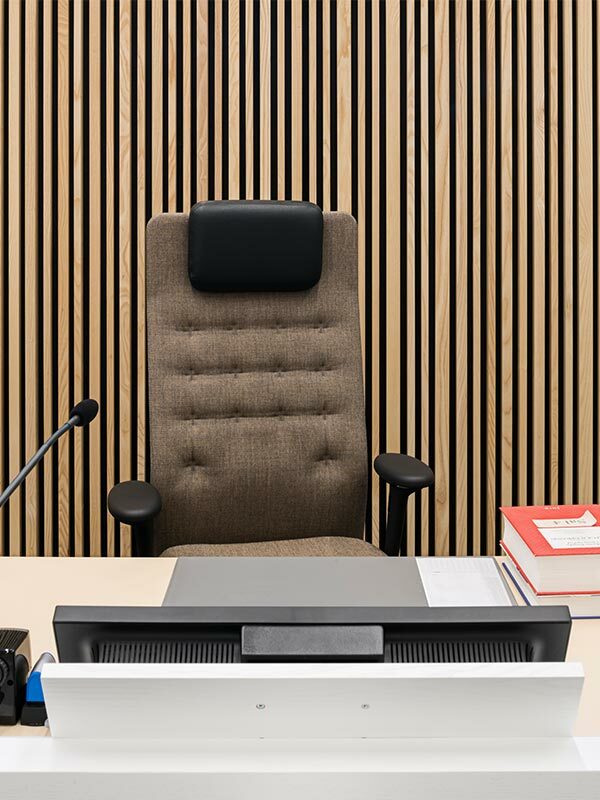 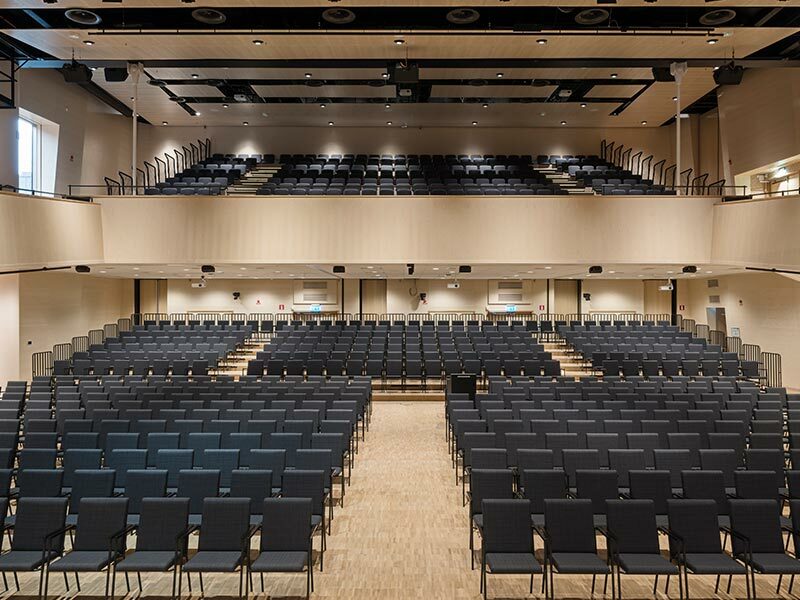 Robust natural materials are the main theme at the new District Court in Lund, Sweden. 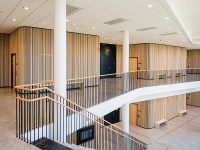 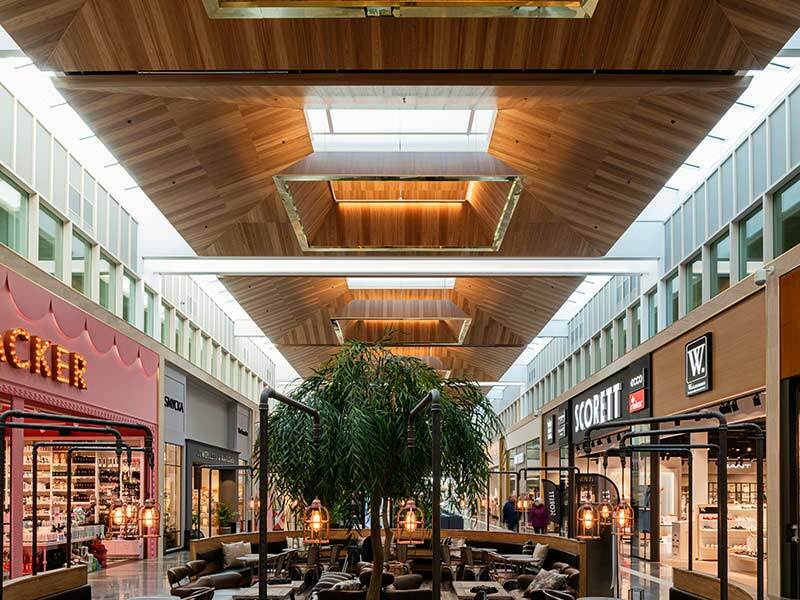 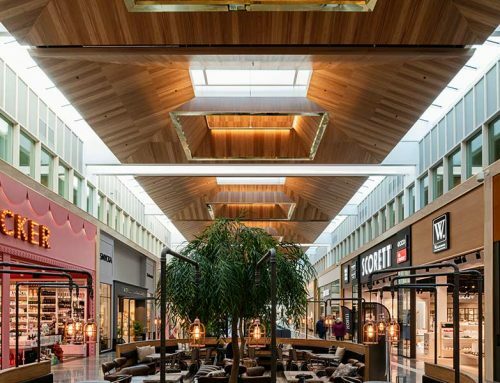 Gustafs solid wood timber panels, Gustafs Linear Module, are cladding the interior in a beautiful combination with stone and glas. 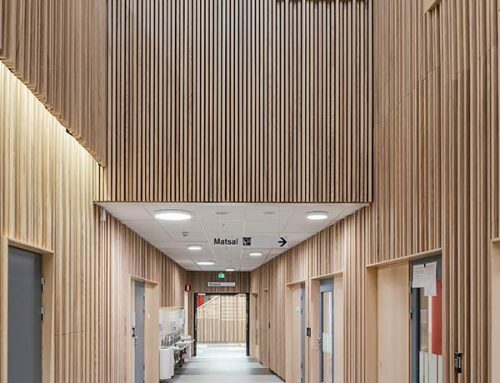 The wall modules are in solid ash with an oiled surface that gives the wood a matte finish. 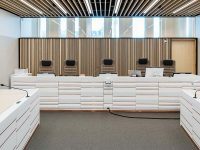 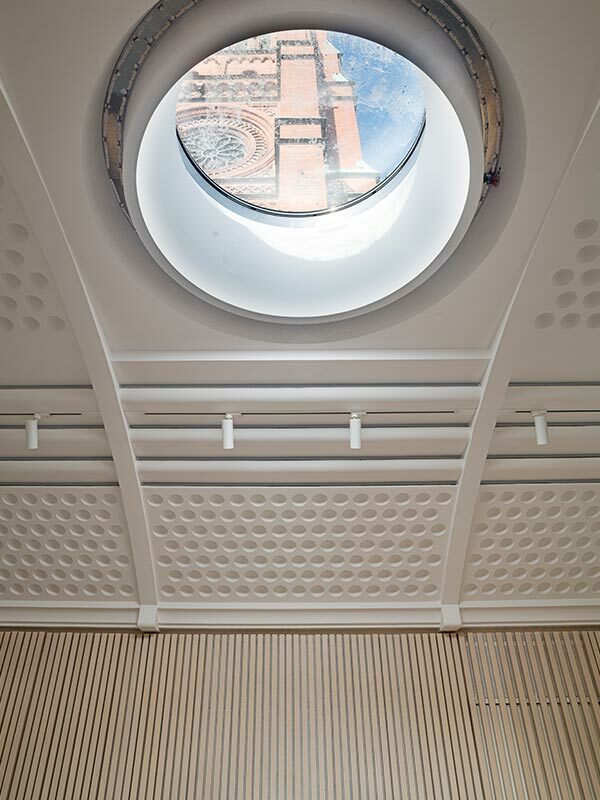 The modules are installed on the entrance floor and the second floor in the public spaces but also in each courtroom. 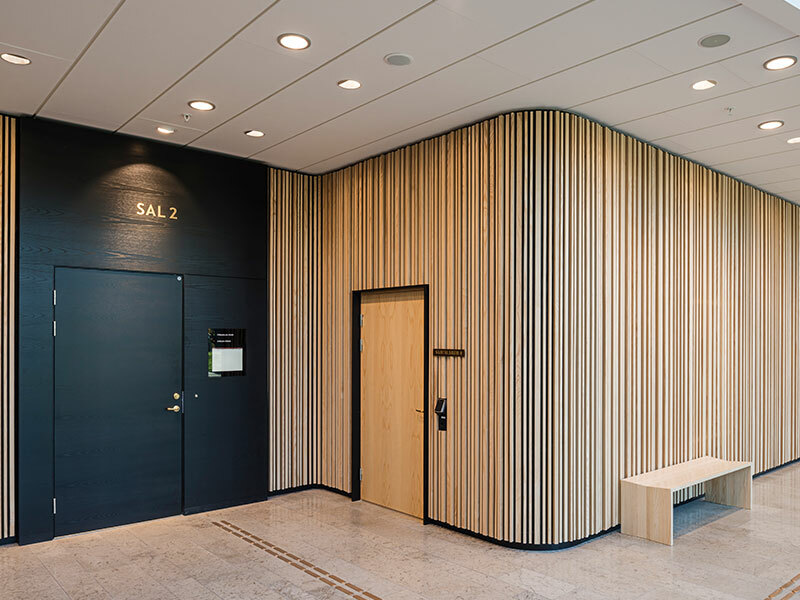 The doors of each courtroom, and the reception counter, are surrounded by Gustafs wood panels in black stained ash veneer which integrates harmoniously with the bright Linear Modules. 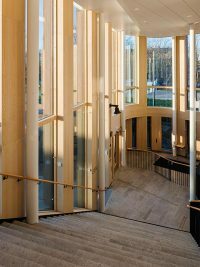 Gustafs panels in ash veneer are also surrounding the large windows which forms a large part of the façade. 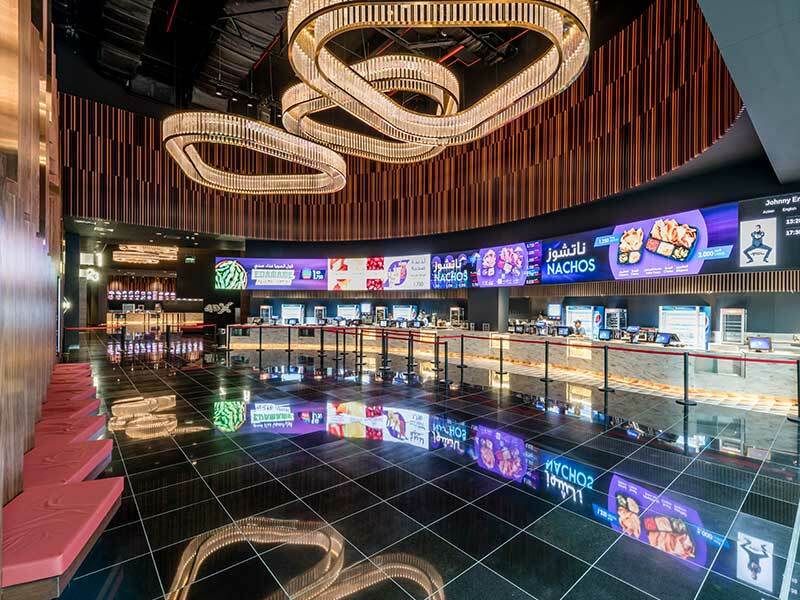 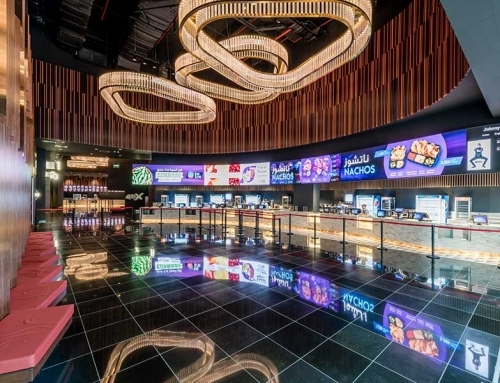 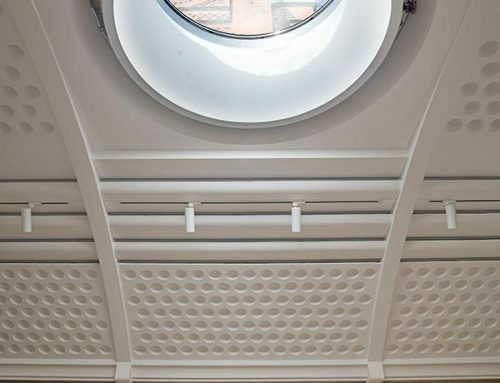 To this project a large part of our products has been customized to meet the technical, environmental and security requirements. 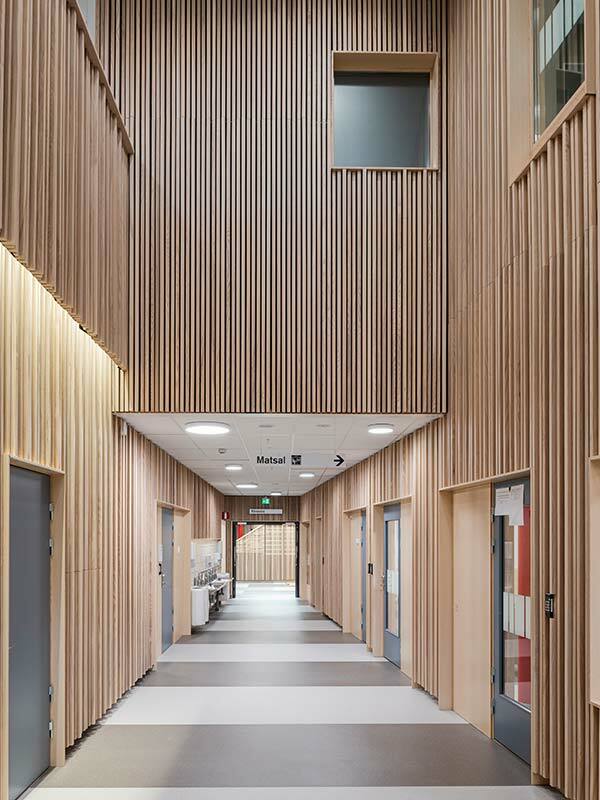 Our Linear Modules are used as integrated doors and windows within the building. 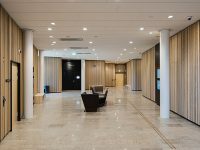 You can see some of our solutions in the video below (in swedish). 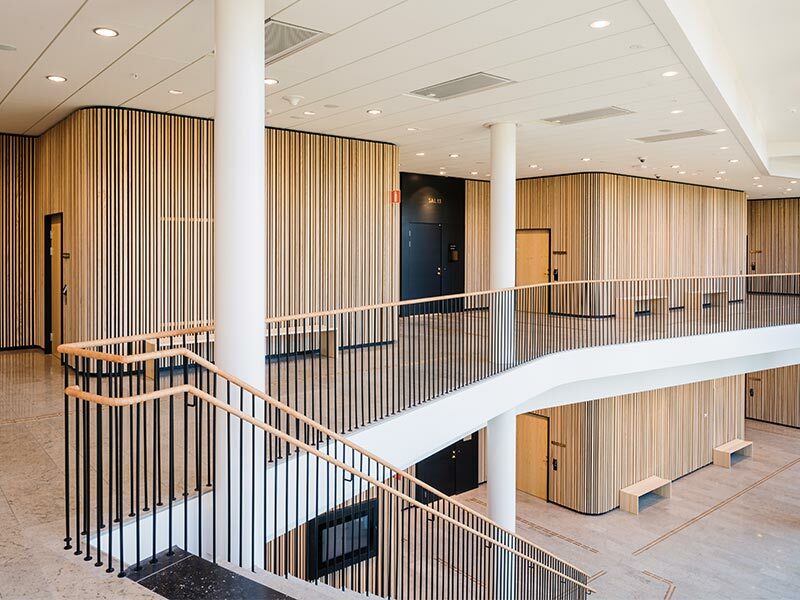 Lund’s District Court has been nominated to the “Building of the Year 2019”. 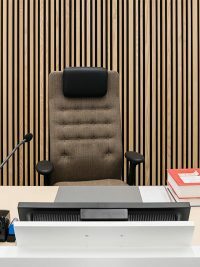 Lund District Court have longed for new premises for a long time. 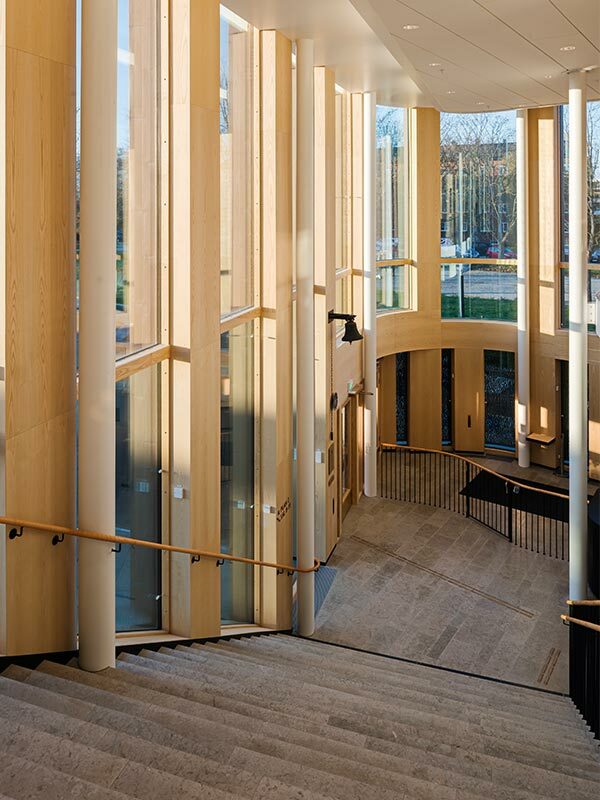 The architects at FOJAB got the task of creating Sweden’s most modern courthouse. 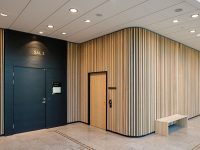 The result became a modern and stylish building with robust natural materials that are durable, lasting and that ages beautifully over time. 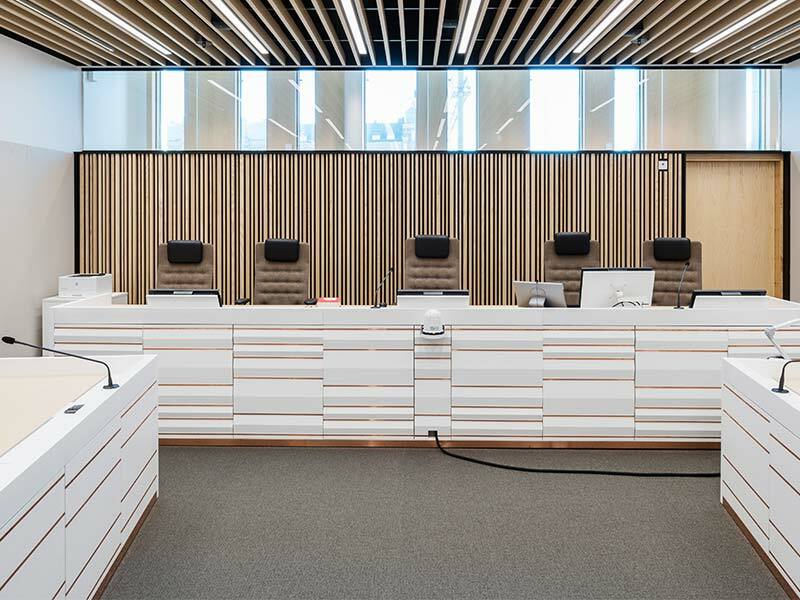 The new District Court was inaugurated in August 2018.